Today, the European Wilderness Society took part in celebration of the 50th Anniversary of one of the biggest protected areas in Ukraine, member of European Wilderness Network, Carpathian Biosphere reserve. One of the today´s event was the round table “Role of the Carpathian Biosphere Reserve and other protected areas in preservation of the nature and culture heritage and implementation of the strategy of the sustainable development in Transcarpathia”. Many speakers referred to the Framework Convention on the Protection and Sustainable Development of the Carpathians (Carpathian Convention), which also celebrated 15 years since it adoption, and we very much hope that they really mean, what they refer to. Another event of the celebration was the opening of photo-exhibition of the unique and rich biodiversity of the Carpathian Biosphere reserve, which demonstrated to the audience once again what and why we should preserve our fantastic, still existing intact nature and wilderness. 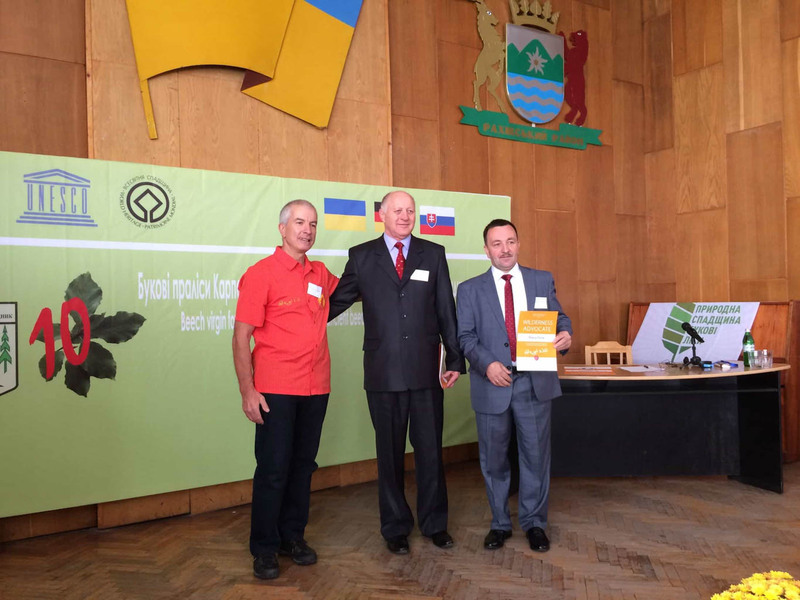 European Wilderness Society is congratulating its Ukrainian partner with the Anniversary and hoping for further fruitful cooperation on wilderness designation, audit and promotion and also on ecological and wilderness education.